Give the gift of relaxation and beauty with Asha SalonSpa gift cards and gift packages! Enjoy signature Asha SalonSpa salon and spa services at our location in Rockford, IL. 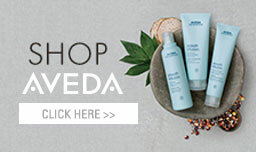 Asha's Salon uses all-natural organic products from Aveda to ensure your hair receives the best treatment available. Melt stress and worry away with Asha's facials, body treatments and massages. Enjoy the luxury of relaxation each month, with your choice of one complimentary Signature Services, plus access to exclusive member offers and discounts! Welcome to Asha SalonSpa, Chicagoland’s largest collection of Aveda Lifestyle SalonSpas. Our Salon specializes in haircuts, hair color, makeup and more, and our Spa offers the best in massages, waxing, manicures, pedicures and other specialty Aveda treatments.